Edward G. Longacre is the author of numerous biographies of Civil War generals, including "General Ulysses S. Grant: The Soldier and the Man." He is a recipient of the prestigious Fletcher Pratt Award for Civil War writing. He lives in Newport News, Virginia. Since rising to prominence early in the Civil War, Ulysses S. Grant has been the subject of a sometimes contentious and often overheated debate as to the extent of his liquor consumption, and the effect it exerted on his career. Given the importance of the subject, Grant’s drinking habits should be recognized and examined, not ignored or downplayed as they have been by overzealous defenders of his good name during his lifetime and ever since. 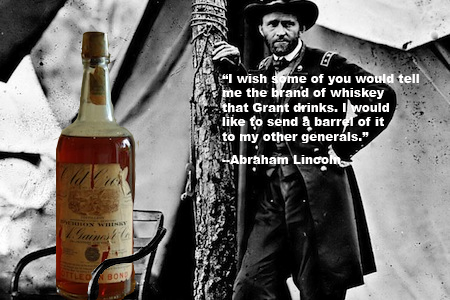 That Grant drank occasionally while on duty is a matter of record, as is the fact that on more than a few occasions he drank until intoxicated, stuporous, and violently ill. More difficult to gauge is whether this habit hampered his ability to command or (as some observers contend) propelled him toward military success even as it marked him as a failure in civilian life. Today alcoholism (or, as it is known in professional circles, alcohol dependence syndrome) is regarded as an incurable but treatable disease whose pathological origins demand careful attention. In Grant’s time, however, alcohol dependence carried a negative moral and religious connotation. Sufferers were denied sympathy, objective diagnosis, and the medical care warranted by their condition. Rather, they were scorned as moral cripples, weak-willed dissipates, and social outcasts. The irony is that such widespread condemnation should have been heaped on a condition that was far more prevalent, and thus seemingly more accepted, in nineteenth-century America than it is today. Grant did not fit the stereotype of the falling-down drunk. He drank at irregular intervals, in varying quantities, and with differing results. At times he imbibed moderately, with little or no noticeable effect, and he was capable of refusing a drink, explaining that alcohol brought him nothing but trouble. Even so, he was, in the clinical sense of the term, an alcoholic. On more than a few occasions he drank long and hard, unable to stop short of unconsciousness or some form of intervention -- the outbreak of attention-demanding military operations, or the ability of relatives or staff officers to limit his access to liquor. The pattern that Grant‘s drinking assumed during the Civil War strongly suggests that he was a binge drinker. Binge drinking is well understood today, as well as carefully defined: five or more drinks in a single session by a man, four or more drinks by a woman. A heavy binge drinker is one who experiences three or more such episodes over a two-week period. A less formal definition of binge drinking is drinking simply to become intoxicated. If they do their drinking in private, binge drinkers often avoid detection. When not drinking, although often depressed and angry, they may function more or less normally, holding down jobs, raising and caring for families, displaying not only rationality but also discretion and incisiveness. All of these qualities characterized Grant’s Civil War drinking and help explain why, although battling a disease that sometimes got the best of him, he was able to produce the strategic and tactical achievements that won the war for the Union. Grant’s attraction to alcohol had its roots in his early military service, if not in his youth. Some historians suggest that it originated as a reaction to the stern morality of his father, an outspoken advocate of temperance. Although he imbibed rarely if ever during his West Point career, being lured only once to that fabled den of cadet dissipation, Benny Havens’s Tavern, he began drinking more or less heavily following the war with Mexico, when the excitement of field campaigning gave way to an enervating round of occupation duty and Grant’s position as a regimental quartermaster provided him with easy access to medicinal stores that included whisky. During this period a pattern emerged that defined Grant throughout his military career: when bored, lonely, or depressed, he sometimes drowned his sorrow in liquor. His attraction to alcohol lessened following his 1848 marriage to Julia Dent, whose love and care induced him to reform. But when apart from his family (which eventually included four children), such as during extended tours of duty at isolated military posts, loneliness and boredom became unbearable. When in 1854 he appeared at a unit function in a drunken state, Grant was pressured into resigning his captain’s commission. He returned to civilian life, where to feed his growing family he accepted the grudging charity of his father and tolerated the scornful regard of his in-laws. As if determined to prove his critics correct, Grant failed at farming and later in business life just as he had at soldiering. Short months before war broke out in the spring of 1861, he hit bottom -- a ne'er-do-well eking out a living by selling firewood on the streets of St. Louis. The war rescued him from obscurity and near-poverty and elevated him to prominence and authority. Refusing to be overwhelmed by his dramatic reversal of fortune or to be deterred by initial, halting efforts in command, by mid-1862 he had become the most heralded Union officer in the Western theater. Some historians suggest that Grant succeeded in battle because, unlike more distinguished soldiers such as George B. McClellan and Henry Halleck, he had no pristine reputation to protect. Thus he could afford to take chances, maneuvering freely and striking boldly and with great effect. The theory has some credibility, but it also has its limits. By the spring of ’62, having reaped the credit for capturing Forts Henry and Donelson, Grant had won a reputation worth preserving. And following Shiloh, where he was caught off-guard and nearly routed -- a misstep widely but erroneously attributed to pre-battle tippling -- he had a reputation to rehabilitate. Yet he continued to plan creatively and act decisively. While his more highly regarded colleagues stumbled through excessive caution, Grant in 1863 captured Vicksburg, cutting the Confederacy in two and opening the full extent of the Mississippi River to Union shipping, then raised the siege of Chattanooga and decisively defeated the Rebel forces that had surrounded the city. At least three times during 1863 Grant became intoxicated while in public, horrifying those concerned with preserving his position and reputation, especially his staff officers. Although historians continue to debate the extent and the effectiveness of his efforts, Grant’s adjutant general, John A. Rawlins, a zealous cold-water man from Grant’s home state of Illinois, strove to cover up his boss’s indiscretions and swear him to abstinence. Grant appears to have given in to his urge to imbibe only on those occasions when Rawlins was not on hand to ensure his sobriety. Nor did Grant drink when Julia and the children visited him in the field, rescuing him from lassitude and loneliness. Grant reached the pinnacle of his career when brought to Virginia in the spring of 1864 to accompany the Army of the Potomac as general-in-chief of United States forces. He is not known to have drunk during the opening phases of the Overland Campaign, when pressing Robert E. Lee’s Army of Northern Virginia toward Richmond via the Wilderness, Spotsylvania Court House, the North Anna River, and Cold Harbor. But in June 1864, with his offensive bogged down at Petersburg, the lieutenant general went on a raucous bender that might have ruined his career had his inner circle not conspired to hush it up and discredit a disgruntled subordinate who tried to publicize it for personal gain. In the latter stages of the Petersburg siege, Julia and some of the children stayed at headquarters for an extended period, fortifying Grant against further temptation. On the day in April 1865 when he backed Lee into his final corner at Appomattox Court House, Grant was suffering from a blinding headache, but not because he was hung over. Given the high visibility his position attracted after 1861, Grant’s dependence on alcohol might well have threatened his continuance in command. Instead, through a combination of factors -- his determination to abstain when military operations were in progress; a moral strength based on religious values that has escaped the notice of many historians; and the support of relatives, subordinates, and political backers, chief among them Abraham Lincoln -- Grant persevered to play a critical role in ending America’s costliest war and restoring the Republic. Even so, he continued to fight the urge to drink through the remainder of his life, including his two terms in the White House. Grant’s death at sixty-three from cancer of the throat is usually blamed on his life-long smoking habit. However, a 1998 study conducted for the National Institute on Alcohol Abuse and Alcoholism determined that “concurrent alcohol and tobacco use significantly enhances the risk of certain cancers, particularly of the oral cavity....” In the end, therefore, Grant may have lost his battle to a disease that had failed to prevent him from becoming one of the most successful soldiers of all time. Grant was NOT an alcoholic or an abuser of alcohol. I am reading the first hand recollections of his roommate Fr. George T Deshon. Fr. George wrote (of Grant): "He was free from all profanity and his conversation was pure. He did not drink liquor or use tobacco. One of his characteristic traits was a great straightforwardness and a scrupulous regard for truth. He would not deviate from it even in jest. " b) his roommate -a Priest- who gained NOTHING for writing as he did. I've read multiple biographies and related materials on Grant. I find the alcoholic accusations to be very weak and unsubstantiated. I believe the three instances mentioned (f they happened at all) were on boats during long breaks after victory at Vicksburg when he was joined by his men in celebration. It's hard to call that alcoholism. Longacre's article is typical of the general accusations against Grant but lacking in substance whether it's about drinking or his presidency which was far more successful than what's been believed. Let's also place ourselves in the time of one of the most gruesome wars ever and recognize that drugs and alcohol have been a part of every battle ever. In addition the excessive of use of alcohol in America in the 19th century precipitated Prohibition. As misguided as Prohibition was, the reason for it's introduction was precisely the out of control alcohol consumption in America generall and the lack of non-alcoholic alternatives. By any measure of the era Grant simply does not come close to the accusations against him. In contrast the authors trying to sell books have every motivation to show flaws and reflect themselves as "experts" or better able to interpret events. Thus we have an asymmetric and conflicted relationship between Grant and most of his biographers. Grant's very tangible accomplishments and his commitment to equal rights for freedslaves and Indians have almost no parallel in American history. To view him as anything less than one of the greatest American to ever live is simply to ignore the facts. His memoirs were the best-written and most interesting of any president. At West Point he was first in his class in horsemanship, and some considered him the most skilled horseman in the entire Army. In the Mexican War he was promoted for bravery on the battlefield. Thus, when he later ordered assaults which took thousands of lives, it was not as if he did not fully understand what was happening to the soldiers. In coordinating vast armies across half a continent, he was too busy to drink very often. 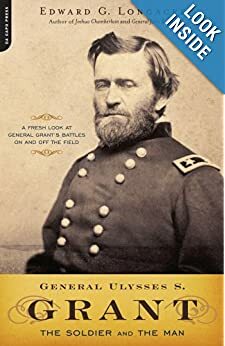 His success in the war came as an enormous relief to the people of the U.S., and set a standard for winning which would remain forever in our vernacular with the phrase, "like Grant took Richmond." His presidency was a time of great growth and advances in the U.S., and he was a relatively popular and successful president, despite the disdain for him of 20th century historians (who actually were seeking to strike at capitalism by attempting to diminish him). He was very nearly elected to a third term in 1880, when he lost the GOP nomination to Garfield only on the 36th ballot, at a time when that nomination was tantamount to election. Over 90,000 people made small contributions to pay for his tomb on the Hudson, about 10 years after he died.